You guys, I’m so sorry for all of the wedding-related things that have been falling out of my mouth (fingers? I don’t know. Whatever.) lately. 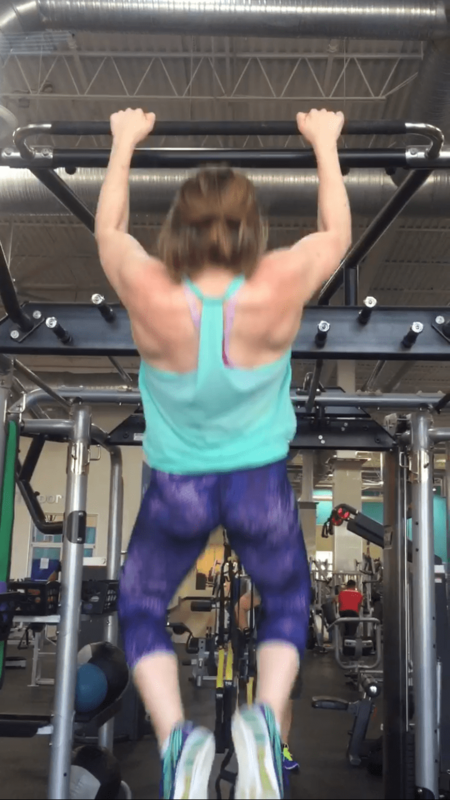 This is supposed to be a fitness-ish blog, and I feel like I can only write so many posts about how I’m “going to the gym and lifting heavy things” every day. That probably gets boring. Because I know I get bored doing it. But, it’s necessary for a lot of reasons. Working out keeps me healthy. Duh. Working out keeps me in a good headspace – I feel better about myself when I’ve gone to the gym or gotten a good sweaty dance sesh in. I have to wear a fancy dress in 8 months and apparently there will be a lot of pictures taken of me in said dress and I really would like to look and feel good in those pictures. So, for this week, you’re getting another #weddingwednesday post, but it’s also going to be a #wellnesswednesday post. HA! It counts. Eight months feels like a long time, but it’s really not. Especially when you consider the fact that those eight months include: Thanksgiving (FOOD), Christmas (COOKIES), and my busiest time of the year at work, leading up to our annual conference. Stress and food. Lots of food. That eight months kind of feels like a lot of time to do a lot of nutritional damage and not a lot of time to fix it. My goals? Not inflict so much of the damage, and really dial in my fitness so that the “damage” I do isn’t really damage at all. 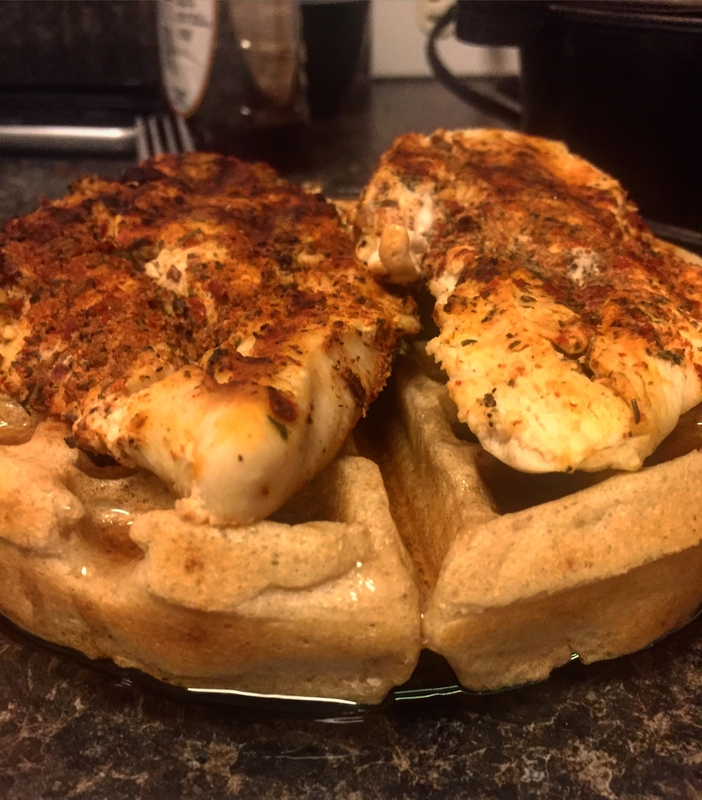 (grilled) chicken and (protein) waffles is totally healthy, right? For me, this means restructuring my workout schedule. In the past, I’ve written about having a pretty set lifting cycle, but the last couple of months have been a little more freeform. Clay and I were working out together a lot and we’d lift regularly, but during the summer, his work schedule gets pretty brutal, so I’ve been on my own, which has meant more flexibility in what I choose to do. It’s also meant I’ve lacked some of my motivation. Not having a gym buddy can be a bummer on the days that you’re just dragging and don’t want to go. Now that Clay’s work schedule has calmed down a bit, we’re going to be getting back in our routine. I’ve found that in the last few months the balance of strength and cardio has been working well for me, so we’ll be keeping that as a basic blueprint, and adjusting our set/rep counts on strength days to achieve our individual goals. He wants to bulk up a bit and I want to cut body fat. I know that’s a totally vain reason, but hey, I’m being honest. Go buy this right meow – so many good recipes, so easy, and its current 46% off on Amazon! Having him around more regularly will also make our meal prep and planning easier, which I’m super excited about. I’m looking for new recipes to make and fit into our dinner rotation. I just picked up Juli Bauer’s Paleo Cookbook and I’m super excited to make more things from it. Her blog, PaleOMG, is also a regular go-to for me for just about everythang. Recipes, workouts, fashion… this girl is hilarious and awesome. I got distracted. ANYWAYS. Having a concrete reason and deadline to meet a goal makes working on that goal way more fun and makes finding the motivation a lot easier. I know that I’m already 75% of the way there, I just have to get that last 25% moving and shaking. What are some of your motivational hurdles? What fitness goals are you working towards? This entry was posted in Food, Workouts and tagged fitness, juli bauer, kyle, wedding, wellness, workouts. Bookmark the permalink. I always find it amusing that holidays that center around food seem to have the opposite effect on me. Christmas cookies? Nah, I’m good. I don’t even eat turkey, so that’s not even an issue. I think because there’s just SO much of everything, the last thing I want to do is indulge. Weird, I know. Okay, so talk to me about this recipe book because I always am looking for new and yummy recipes! Should I go for it?